Super Bowl Sunday is more than just the grand finale of the NFL season; it’s the perfect time to eat delicious food and bond with friends and family. 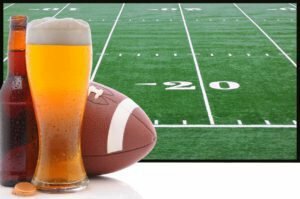 Unfortunately, drunk-driving rates spike after the Big Game, and even if you remain sober, your risk of crashing will increase on Super Bowl Sunday. According to a study published in The New England Journal of Medicine, car crash rates jump by 70 percent in the hour that follows the Super Bowl. If you intend to drive after the game, it is essential that you look out for drunk drivers. Unfortunately, some accidents are unavoidable. If you are injured by an impaired motorist on Super Bowl Sunday, contact the Troutman Law Office. Matt Troutman is a personal-injury attorney in Lexington, Kentucky who will help you fight for the maximum compensation. The at-fault driver may be liable for your medical bills, lost income and non-economic damages. Call 502-805-0321 to schedule a free case evaluation. Despite awareness campaigns that advertise the dangerous effects of alcohol on driving performance, an alarming number of motorists still choose to drink before getting behind the wheel. According to the National Highway Traffic Safety Administration, drunk-driving fatality rates rose 3.2 percent from 2014 to 2015. Driving at night with the headlights turned off. Pull over to a safe location and call 911. 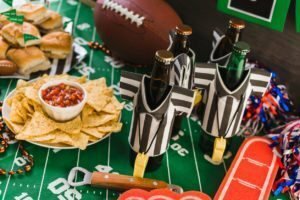 If your Super Bowl celebration ends with a drunk-driving wreck, contact a Lexington car accident lawyer from the Troutman Law Office. Matt Troutman will evaluate your crash, gather evidence, interview witnesses, and help you claim the maximum compensation. Mr. Troutman has been a practicing lawyer since 1986. If your case goes to trial, he has the litigation experience and resources to represent your interests in court. Call to schedule a free case evaluation. You can also visit http://drunk-driving-accident.usattorneys.com/kentucky/ to learn more about drunk-driving injury lawsuits in Kentucky.